‘Tis the Season for Farm Fresh Christmas Trees! Queensland’s only tourist Christmas Tree Farm invites visitors to their first Christmas Tree harvest days, on Saturday 1st and Sunday 2nd December 2018 at Stanthorpe on the Granite Belt. 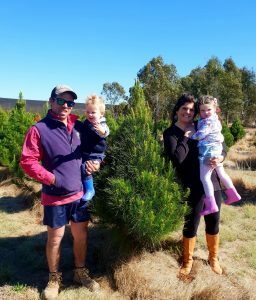 This Christmas 2018 harvest is the first for Brad and Katrina Fraser, who planted the first of their 10,000 Christmas trees at Granite Belt Christmas Farm three years ago. Now grown to an ideal 5 to 7ft height, the trees are ready for families to visit in their new family Christmas tradition – strolling through the lines of trees and selecting their very own to be cut and netted. 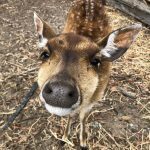 Providing Christmas fun all year round, the feeding of Santa’s animals is a favourite activity at the Christmas farm, with reindeer, donkeys, sheep and goats amongst those visitors hand feed. 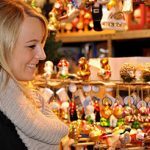 The Mistletoe Store is a Wonderland gift store offering among other things, rich and pure Belgian drinking chocolate and Christmas themed chocolates made onsite by Katrina from Belgian cocoa. Granite Belt Christmas Farm are proud growers of over 10,000 real Christmas trees and it’s a delight to see these growing on the farm at all stage, from the tiny seedlings through to the ready to cut sizes. The trees, radiata pines, are each hand pruned by Brad four times a year to create thick, lush foliage – ideal for the perfect shaped Christmas tree. To ensure even and continued growth thought all seasons, the trees are watered with a drip irrigation system. Stanthorpe is located 2hrs south of Toowoomba and 2.5hrs south west of Brisbane. 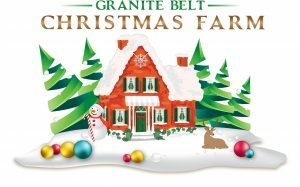 Find out more about the Granite Belt Christmas Farm.